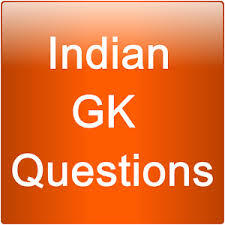 General Knowledge questions on Indian GK for Bank PO, IBPS, Bank Clerical And Indian GK For Railway GroupD,RPF,Rajasthan Police SI 06-11-2018 questions for bank exams, very important computer-related questions for Bank PO, SBI PO, IBPS,RAS, IAS, UPSC, RPSC, 1st, 2nd, 3rd Grade Teacher, REET CTET, LDC, SSC CGL, IBPS, MBA, CAT, MAT, SBI-PO, RBI And Railway, Indian Army And all competitive Exams, and Most expected Computer Question Papers with answers. These Questions are most commonly asked in Other Banking Exam And All subject Wise Notes and Math, Hindi, English, History, Political Science, Psychology, Sanskrit Related Study material. Question. (1) Education Day ‘is celebrated? शिक्षा दिवस’ कब मनाया जाता है? Question. (2) Whose birthday is celebrated as Education Day? किसके जन्मदिन को शिक्षा दिवस के रूप में मनाते हैं? Question. (3) Where is Bhabha Atomic Research Center located? भाभा परमाणु अनुसन्धान केंद्र कहाँ स्थित है? Question. (4) Who led the Bardoli movement in 1928? सन 1928 के बारदोली आन्दोलन का नेतृत्व किसने किया था? Question. (5) Who had founded the Khalsa Panth? खालसा पंथ की स्थापना किसने की थी? Question. (6) Who founded the Mughal dynasty? मुगल वंश की स्थापना किसने की थी? Question. (7) India’s first woman I.P.S. Who was the officer? भारत की पहली महिला I.P.S. अधिकारी कौन थी? Question. (8) Kathak is the classical dance of which state? कथक किस राज्य का शास्त्रीय नृत्य है? Question. (9) Which was the capital of Tipu Sultan? टीपू सुल्तान की राजधानी कौनसी थी? Question. (10) The word ‘Chinaman’ is used in which game? ‘चाइनामैन’ शब्द किस खेल में प्रयुक्त होता है ?